Find out more about our webinar on Indicator 19 of the 2016 Aiming for Excellence Standard. 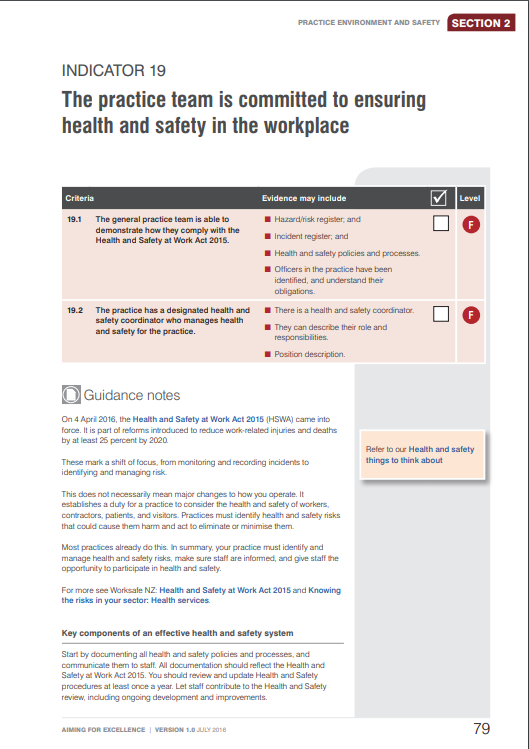 We held a webinar looking at Indicator 19: The practice team is committed to ensuring health and safety in the workplace. This aligns with Indicator 20 in the 2011–2014 standard. This is our second webinar, aimed at providing more support and guidance from the College to our members and staff in practices. This support is aimed at your practice either becoming CORNERSTONE® accredited or maintaining your accreditation.